▪ No need to maintain multiple files. ▪ All key sections are fully integrated, viewable and printable. 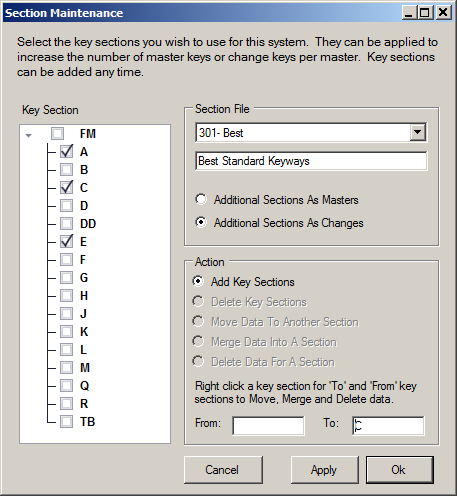 ▪ Key sections can be used as either additional master keys (pages) or key changes. and entered data can be ported from on key section to another.